'JP' is a 2017 VW California, 4-birth, Beach model van and looks stunning in his Black metallic paint. Volkswagen Transporters are renowned for their brilliant design and robust build quality and the new T6 California Beach is no different. JP boasts a host of technology to make your drive as easy as possible, such as front and rear parking sensors, power steering, ABS brakes, hill start and much more. Powered by VW 2.0 150BHP TDI (diesel) engine and 6 speed manual gearbox, this camper will power you through the toughest incline and it will do it efficiently too with an average 38 MPG. You can drive in comfort with two captains chairs, with arm rests, Air conditioning, Multi function steering wheel, DAB radio, Bluetooth ready stereo and USB connection for you own media input. Externally the van is fitted with a roll out awning for speedy deployment, an optional bike rack for up to 4 bikes and a lifting roof to allow you standing room and provide an addition sleeping space in the roof. Internally this 4 birth camper-van isn't a traditional camper, so you wont find a fitted fridge and sink but you will find a full width comfortable 3 person seat that can be moved to any position on its rail system, fold out table, swivel front seats and plenty of space for your luggage. The rear seat rolls all the way to the front so the whole family can be together for the drive then simply roll it back when you want to park up. This seat also deploys to form the first of two beds. JP is equipped with a pair of deck chairs, located in the tailgate storage area, as well as an adaptable table the is stored in the sliding door, this can be used on two legs inside the van or on 4 legs outside the van under the awning. His front captains chairs swivel so all 5 seats face the center of the van for those rainy days. His lifting roof is easy to use and reveals a second sizable bed space, accessible from the front seats. We are pet friendly here at Wildlight Camper Hire so feel free to bring your four legged friend with you (limited to 2 dogs per hire). All we request is that you strive to keep the interior clean. JP can be upgraded with any items from our optional extras list. See our terms of hire for more details. Below is our standard pricing table. We reserve the right to change these prices without notice or notification. However once your booking is confirmed your price will not change. Please click the tab for a general overview of our terms. Our full terms and conditions are laid out on each booking form. Check to see if the dates you wish to hire are available by using the calendar below. All bookings require a £250 non-refundable deposit to secure the slot. Unless a calendar date shows as 'booked', the date is available. A full list of terms and conditions is presented with each hire pack. Below is an overview of the essentials. Hire Charge means the charge for a vehicle and vehicle insurance, (excluding any insurance surcharges) for the purpose of the hire of a camper van for the duration of the hire period. All prices are inclusive of VAT (currently 20%). The Hire Charge does not include: Optional Extras, Insurance Surcharges (if applicable), or Security Deposit. The initial payment must be paid at the time of making the booking. This is a charge of £250 or 20% of the hire value if your hire is less than 1 week. This is applicable for all hires, this is to secure your booking and this is non-refundable. Week hire - flexible pick up and return subject to availability. Long Weekend breaks - Friday afternoon pick up and Monday morning return. Extra Days - can be added to your hire providing your current hire has not expired. This is also subject to availability. Hires that return on a Friday or before a Bank Holiday must be made in the morning, before 11am. We endeavor to be flexible and alternative days and times may be available, please contact us to find out. Balances are due at least six weeks before the hire commencing and are not eligible for refund. We recommend that customers obtain suitable holiday or travel insurance in the event of cancellation or any unforeseen circumstance that prevent you from executing the hire of the vehicle. All Vehicle hires are inclusive of UK insurance and are subject to an excess deposit amount. In the event of any damage to either the hire vehicle or a third-party vehicle or property the hirer will be liable for the first £1,000 in each occurrence, unless collision damage waiver is taken. The hirer will be liable for replacement or repair of windows or tyre damage and accidental/negligent damage to the vehicle, fittings and equipment. Insurance cover cannot be provided unless the Final Payment is made. The hire company reserves the right to cancel any hire booking if the Final Payment is not received prior to hire commencement. In these circumstances, the Hire Charge may be forfeited. years with no accidents or endorsements. Drivers under 25 or over 70 are charged an additional loading of £10 per day, subject to insurance approval. Drivers outside these conditions will be considered but there may be additional charges. Please call to discuss. Drivers with 3 points or more may incur an insurance surcharge, please call for a quote. The insurance excess deposit (£1,000) must be paid prior to the commencement of the hire. Alternatively you can opt for the Collision Damage Waiver which reduces your excess. This costs £30 per day. - The accident is their fault. - There is no one to claim against. - The other driver has no insurance. - Interior damage eg. cigarette burns. - Roof or overhead damage above the height of the windscreen. - Damage when the vehicle is not on the public highway. - Theft of the vehicle. - Theft of the vehicle when its keys have been lost or stolen. - Damage caused by the negligence of the hirer. - If the terms and conditions of the rental agreement are breached. credit/debit card used must be valid for the duration of the hire period. Please check in advance that your credit limit covers this amount. This deposit is to be used if the vehicle is not returned with a full tank of fuel and/or to rectify any damage to the vehicle that is not covered by the CDW or the general terms and conditions of the hire. charged for no more than a two-week hire. As we are still a small business, one way rentals are currently not available, something which we hope to address shortly. Changes to booking dates that reduce your hire period may be subject to an administration fee of 50% of the standard hire charge per remaining day of hire. Any optional extras stop being charged on the day your hire ends. We expect you to use our van how you want, but we do request that the integrity of the vehicle is taken care of. We expect to give the van a wash and light clean down inside, however excessive dirt and rubbish left in the van at the point of return or clear signs that it has been abused, will likely result in a valeting fee being charged to bring it back up to the standard we let the van leave us in. We are pet friendly and we allow up to two dogs to travel in the van per hire. We ask that special attention is placed on keeping the inside of the van clean and we do reserve the right to charge a valeting fee to clean the van if we feel it is not clean enough for the next user. Collision Damage Waiver (CDW) is optional and reduces your excess from from £1000 to £200 plus VAT. Collision damage waiver covers Road Risks accidents it does not include the replacement or repair to the roof, undercarriage, windows, tyre damage or accidental/negligent damage to the vehicle, fittings and equipment. The website is an official DVLA portal, where you will be able to follow the on screen instructions to access your details. Once you have accessed your details you will follow the link "share licence information". You can then create a unique code that you can share with us. The code you generate lasts for 21 days. This code along with the last eight digits of your licence number will allow us to access your licence details to do our DVLA checks which are criteria of the insurance approval. 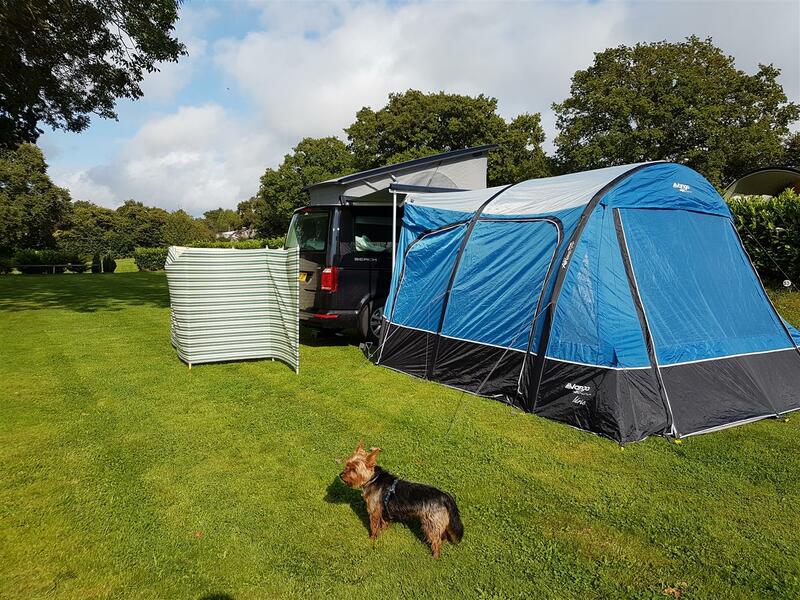 Wildlight Camper Hire was born of our passion for all things camper van. We are part of a larger company called SK Conversions Ltd. who specialise in camper conversions. Our hire story is just beginning but our story with and passion for camper vans so far has been going for over 30 years. Our hire business is led by Mat, who has camper vans in his blood. After growing up with a classic 1972 camper which his family went everywhere in, he took the first opportunity he could to join this way of life and bought his first camper at the age of 18. He still owns this van. He took the plunge with working with VW camper vans back in 2006 and began working with classic VW's this involved restoration and maintenance, this evolved and by 2012 he was working with the full range of model years right up to brand new vans. This work still sees him working with classic VW's but also carrying out full or part conversion on newer models. His enthusiasm for camper vans can be infectious and as such we are pleased to have him heading up our hire team. Our mission is to be a facility for as many people as possible to experience camping in a VW and to see the outdoor world as much as possible. Whether that is exploring the beautiful scenery and countryside of the UK or seeing the vast beauty of the European continent, as long as you are in a camper van you have the world at your finger tips. We strive to provide, a clean, reliable hire service that allows you to travel and enjoy your break away in comfort with minimal hassle. Travelling by Car: Our premises is a 4 minute drive off of the A21 and is a single road into Etchingham, so no confusing directions to follow. If you are coming from West Sussex, we are on the main road between Heathfield and the A21, which is also a single road with no confusing turn offs. Travelling by Train: We are a 5 minute walk from Etchingham Train Station, which is on the London to Hastings line, Or give us a call to let us know what time your trains gets in and we will collect you.